Fun metallic leopard print base. Synthetic hair, plush kabuki brush providing moderate to full coverage for face and body. 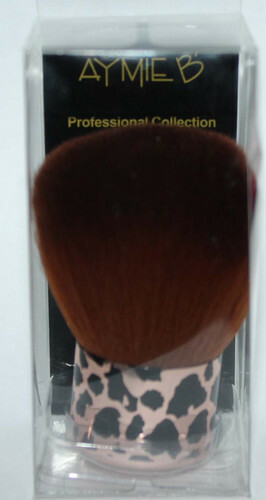 This professionally designed brush is perfect for applying minerals, loose powder, bronzers and blush. Short handle allows for controlled, precise application.